With a pulsing tropical swell, a hungry field of international talent and a lot of motivation for South Orange County surfers to make their presence felt, it was a wild ride at the Vans U.S. Open of Surfing in Huntington Beach this year. 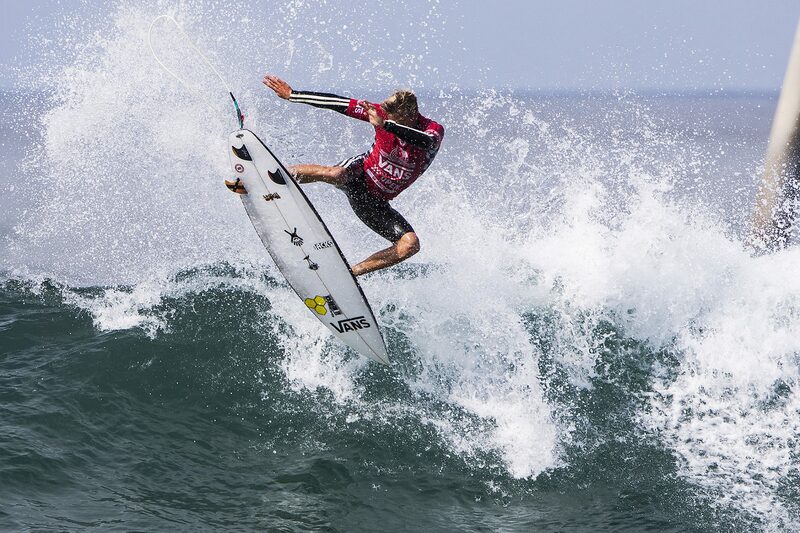 In the men’s main event, Pat Gudauskas of San Clemente blasted through heat after heat. Making the most of the pristine, summertime conditions in Surf City, he found himself still standing on the final day of the contest with a very real chance of winning it. Unfortunately, in a hard-fought quarterfinal against Brazilian Tomas Hermes, Gudauskas found himself 0.07 of a point away from advancing. For a lot of people, such a skin-of-the-teeth loss would be a heartbreaker, but Gudauskas’s charity organization is called the Positive Vibe Warriors for a reason. For his effort, Gudauskas climbs 17 spots on the WSL’s Qualifying Series and now sits at 10th on the rankings. San Clemente’s Griffin Colapinto finished equal ninth in the Open and jumped from seventh to fifth in the rankings. As the QS season turns the corner and every contest starts to count a lot more, both surfers are well positioned to make a serious run at qualifying for the 2018 WSL Championship Tour. While Gudauskas and Colapinto were hammering away in the main event, in the junior ranks a number of local surfers were also doing some serious work. Cole Houshmand and Crosby Colapinto, who’ve both enjoyed perhaps the best summer of their young, competitive careers, made the semifinals of the Men’s Pro Junior, while Kade Matson did them one better, making the final and finishing third. As far as rankings on the WSL’s North American junior circuit, Houshmand and Colapinto are tied for fourth, and Made’s just a stone’s throw away at 11th. On the girls side, Dana Point’s Bella Kenworthy was knocked out in the quarterfinals of the Women’s Pro Junior, while San Clemente’s Samantha Sibley earned herself a spot in the semis but was unable to fight her way out of the stacked heat. Sibley’s now ranked second on the North American junior circuit, with San Clemente’s Kirra Pinkerton sitting in third. Later this month, Gudauskas and the QS warriors have opportunities to earn some more valuable qualification points at the Vans Pro in Virginia Beach and the Galicia Pro in Galicia, Spain. The next top-rated WSL QS contest is Cascais Pro in Portugal at the end of September.